Stagnant. 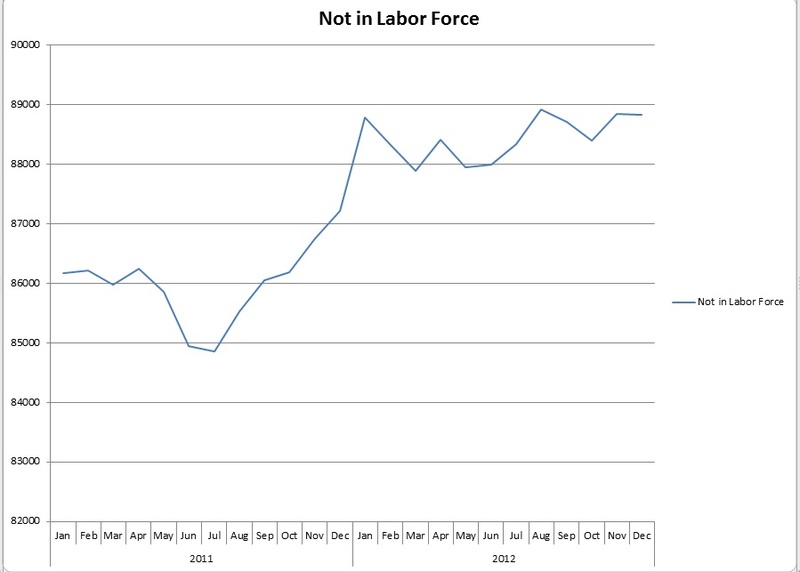 That’s about the best assessment we can offer for the last quarter of 2012 with regard to the labor picture. That wouldn’t be so bad if we were stagnant at a much higher point. There are some small positives hiding under the bigger negatives but they essentially offset kind of like a 15 yard penalty on the defense can be offset by a 5 yard infraction against the offense during the same play. So, STAGNANT. 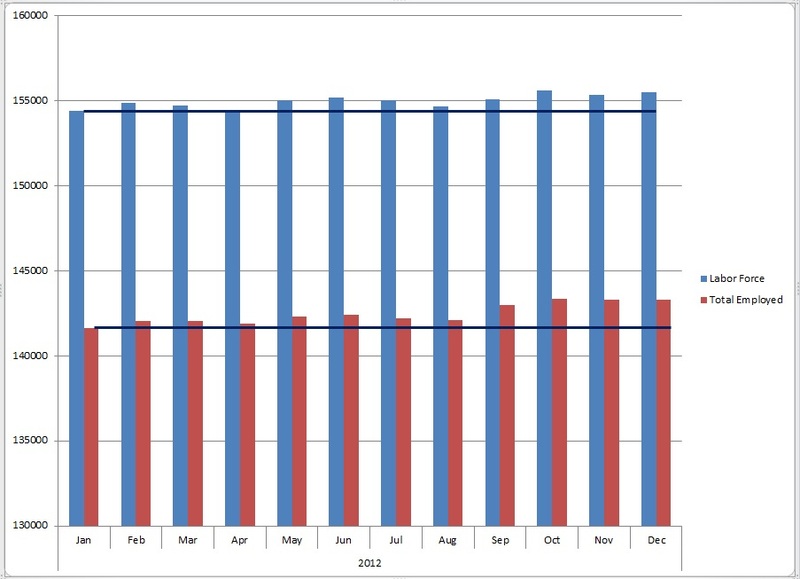 The number of those reporting as employed rose 28,000 in December 2012 but those reporting as unemployed rose by 164,000 which is astronomically high as is the number of those not in the labor force. 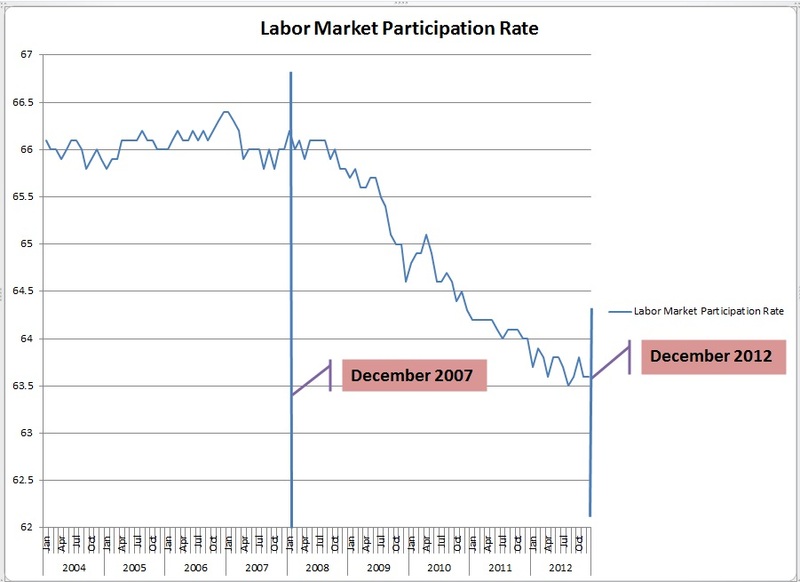 The participation rate continues its downward trend, the number of those unemployed between 1 and 26 weeks jumped rather dramatically in December and overtime hours in manufacturing remain uninspiring. So, what are some of the positives we mentioned? Wage increases in a few areas actually outpaced inflation last month and the number of those reporting at work part time because they couldn’t find enough to do or a full time gig was down a bit. We mention this occasionally and the first post of a new year always seems a good time to reiterate that there is a tendency to categorize data as “good” or “bad.” From our point of view the data is neither. It’s just data. Our job is to help businesses and investors react appropriately to the data at a point somewhere between cautious and aggressive. For a while all the data pointed distinctly toward caution. The last few weeks we’ve seen conflicting signals intra and inter reporting. For us, that is more cautionary than definable trends for obvious reasons. We’ll need to watch very closely over the coming weeks to see if any meaningful patterns develop in either direction. In the meantime we’d lobby the refs to throw a flag for roughing the analysts!